Former astronaut Alan Bean in his studio where he mixed moon dust with paint for his representations of American space exploration. 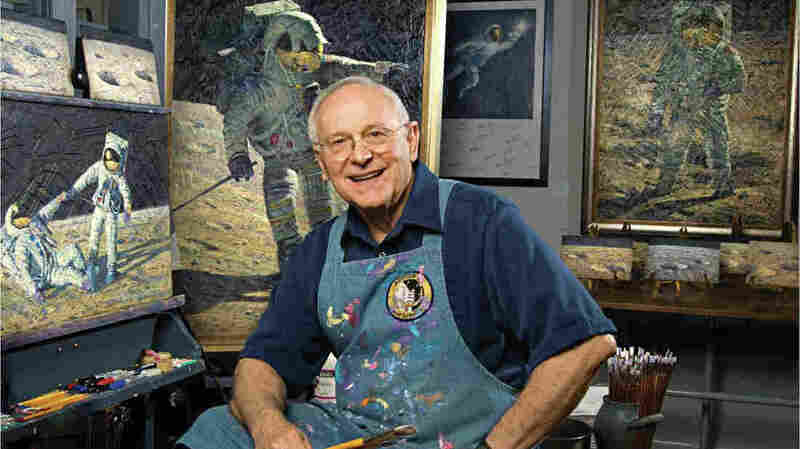 Former astronaut Alan Bean in his studio where he mixed moon dust for his portrayals of space exploration in the USA with paint. One of the US astronauts who went on the moon died. Alan Bean on Saturday in Houston after a brief illness. He was 86 years old. With Bean's death only four Moonwalkers live (Buzz Aldrin, Dave Scott, Charlie Duke and Harrison "Jack" Schmitt). Bean was the lunar module pilot of Apollo 12, who performed the second moon landing in 1969. He flew into space once more, but he really made an impression in what he did after NASA. Bean spent 31 hours on the moon collecting moon samples and deploying several experiments with mission commander Pete Conrad. They also checked Surveyor 3, which had landed two years earlier. Astronaut Alan Bean during the spacewalk Apollo 12 on the lunar surface. 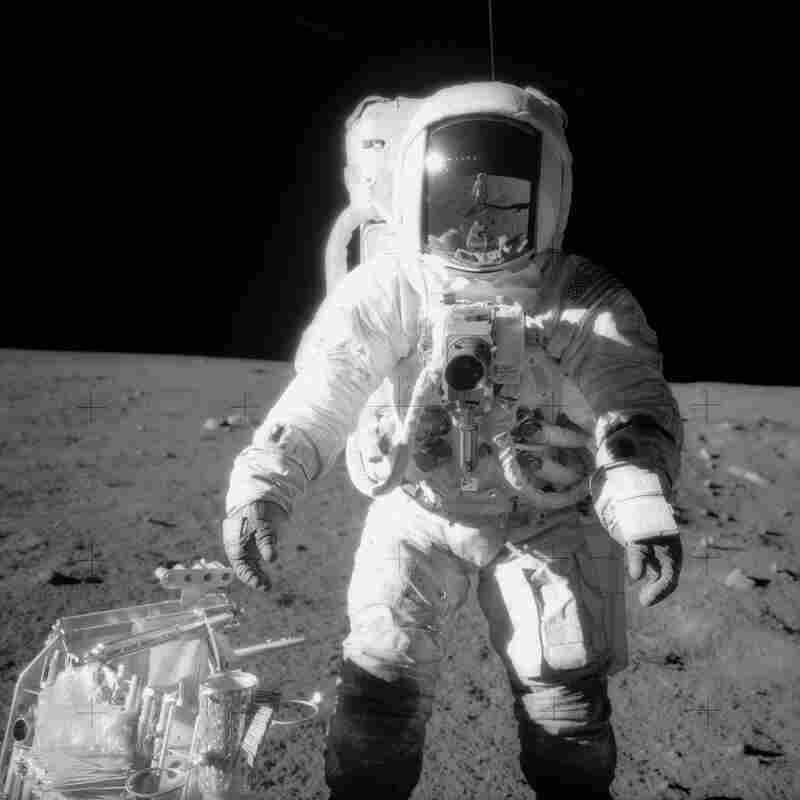 Commander Charles "Pete" Conrad Jr., who took the picture, is reflected in Bean's helmet visor. They were busy, but, as Bean recalled in a 2016 NPR interview, "when I ran away, I remember … and said," You know, that's really the moon. We are really here. That's the earth up there. And I said it to myself two or three times. " After Apollo, Bean commanded the second Skylab mission in 1973 – orbiting Earth for 59 days, and later queued to fly the first shuttle flights But he gave up because "the more I thought about it, the more I realized that there were young men and women at NASA in the Astronaut Office who could fly the shuttle as well as possible, but I was the only one who was interested in trying to do that other job. " He painstakingly created what it was to be like being on the moon, with real moon dust and crushed remains of the Apollo spacecraft, before spending weeks taking pictures and videos with each picture to study and call other astronauts to examine their memories. These materials and memories brought back Bean from the Moon, but he also left something behind – his silver ones Astronaut pinback button. He had thrown it as far as possible into a crater. He said he often thought about it, "and when I look at the moon at night, [I] think of the pen up there, as shiny as he was. That's it, and someday someone might pick it up. "